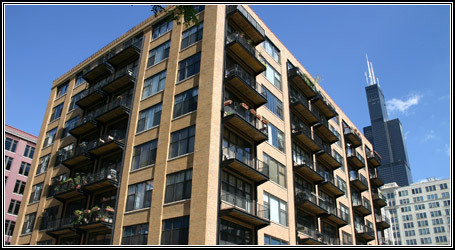 The Capitol Hill Lofts is a 90 unit loft building located in the West Loop area of Chicago. The property was a classic gut rehab where we created one and two bedroom lofts from a class C office property. The building also includes about 10,000 square feet of retail space on the first floor. The architect was able to utilize an innovative design for the exterior balconies of Capitol Hill Lofts that adds drama to the façade of the building. The lofts range in size from 700 to 1100 square feet and feature tall timber ceilings, exposed brick and huge windows.